Dr. Gessner grew up in a small town in South Carolina before becoming a true Tar Heel. 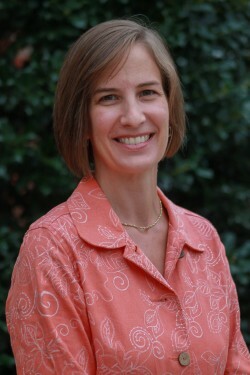 She completed her undergraduate and medical school education at the University of North Carolina at Chapel Hill. She completed her Masters of Public Health at the Johns Hopkins School of Public Health, and then completed her pediatric residency at the Medical University of South Carolina in Charleston. She is board certified by the American Academy of Pediatrics. Dr. Gessner originally joined Wake Forest Pediatric Associates, PLLC in November 2010 but left for two years to work in a mission hospital in Kenya. After returning home she then re-joined Wake Forest Pediatric Associates, PLLC September 2014. Although a piece of her heart is still with the people in East Africa, she is happy to be back among the awesome co-workers and patients at WFPA. She lives in Raleigh with her husband, 3 children and Kenyan German Shepherd, Mak. Still marveling at constant electricity and clean water from the tap, she enjoys spending time with her family, cooking, reading, and traveling.